Hello Sunshine! So I've been really hooked with sneakers lately, and if you are too, then you're going to enjoy my insider shopping tip today. Basically, I'm going to teach you how to keep track of shoes you sorta want but would only get if it's on sale; how to receive discount codes from an online store; and last but not the least, how to get cash rebates when shopping online. So why should you believe me? 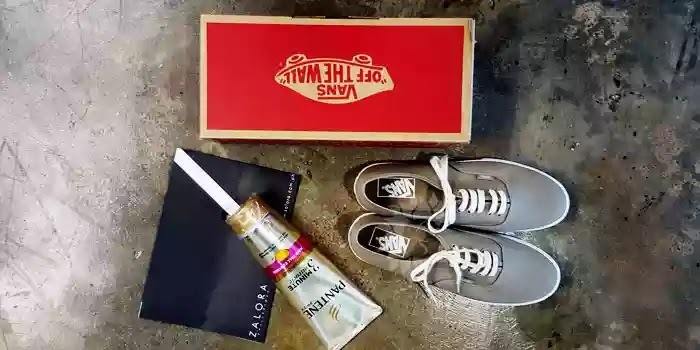 Well, while roaming around Zalora, I saw this pair of Vans sneakers which for me were the perfect shade of hipster. haha I couldn't forget about it, especially because it was on sale. So the ending, I bought it. I even used a discount code that I learned from Shopback so in essence, I got the Pantene conditioner for FREE! I only added the Pantene conditioner because I needed to meet a certain minimum purchase requirement, but with the discount code, the discount was of equal value to the conditioner... so I added it to my cart and got it for free! So what should you do to get the most out of your online shopping? So these tips are applicable on the Zalora website, but can also be similarly applied to other shopping websites. Put items you like on your wishlist. This way, once these items go on sale, you will be notified by the shop. Just check out my wishlist page LOL Imagine this as the online version of you lurking around that pair you wanna buy at the mall but don't really give in to because you want it to go on sale first. You can also put the items on your cart because sometimes, some shopping sites send customers who don't proceed to checkout (despite having items on their cart) exclusive discount codes just so they complete the transaction. Always make sure you're subscribed to newsletters. Newsletters are the hottest way to get first dibs o discount codes and any ongoing sales. Most shopping sites give you a discount code upon newsletter subscription. Sign up on Shopback to get cash rebates from your favorite websites, ranging from shopping sites and even travel sites. Sign up via this link. Make sure to sign up using my link so you get a P100 upon sign-up! You can also get so many discount codes from Shopback so you not only get cash rebates, you also get actual discounts upon purchase!